Probably the best way to get holiday mood is to create it everywhere around. 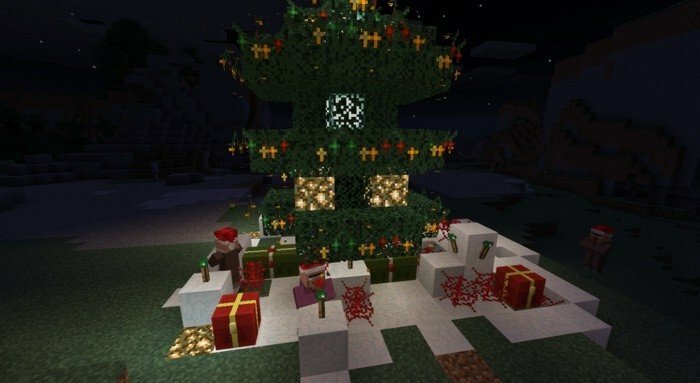 Using this holiday texture pack for Minecraft PE 1.0.0, you can create a nice looking Christmas tree and decorate your house with lights. Chests will transform into presents that will fit nicely, right under your tree. 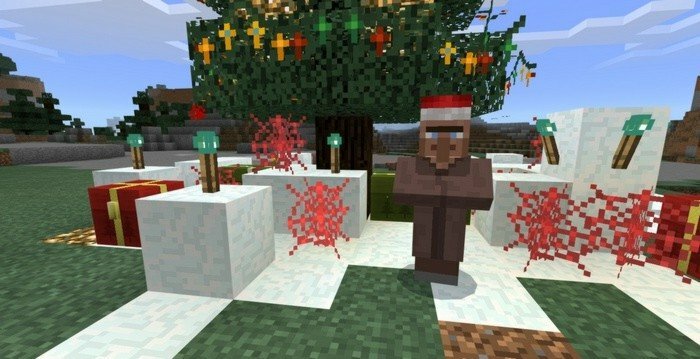 Christmas is coming and so is the spirit flying around, grab your friends and play some snowballs in Minecraft.